Dr. Adrian Clifton is a wife and mother of four. As a Columbia native and product of the Columbia Public School system she went on to receive a Bachelor Degree in Elementary Education from the University of Missouri-Columbia and a Masters through their teaching fellowship program. After teaching first grade for 5 years at Rock Bridge Elementary as their first African-American classroom teacher, Adrian completed her doctorate degree at the University of Missouri Columbia in the field Learning, Teaching and Curriculum in 2016. Her research focuses on the social capital attained in community-based learning spaces, in particular, at Granny’s House, an after school ministry serving youth in the public housing projects. Adrian is co-founder and president of Worley Street Roundtable. This is a group of concerned students and community members who have partnered with Columbia Public Schools to thread together students, families, universities and outside organizations to create viable ways to help marginalized children succeed academically, socially and spiritually. 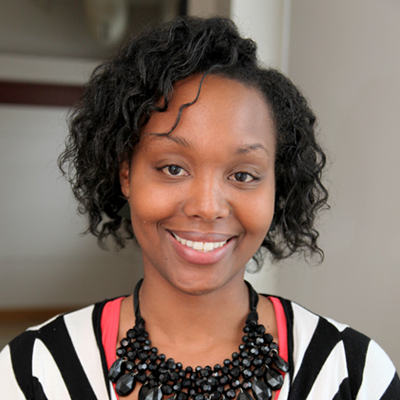 Adrian serves as a post-doctoral fellow in the College of Education. Her duties include teaching and preparing future teachers for the role of teaching in cultural responsive ways. She also works with community partners to strengthen the relationship between the college of education and the urban community.